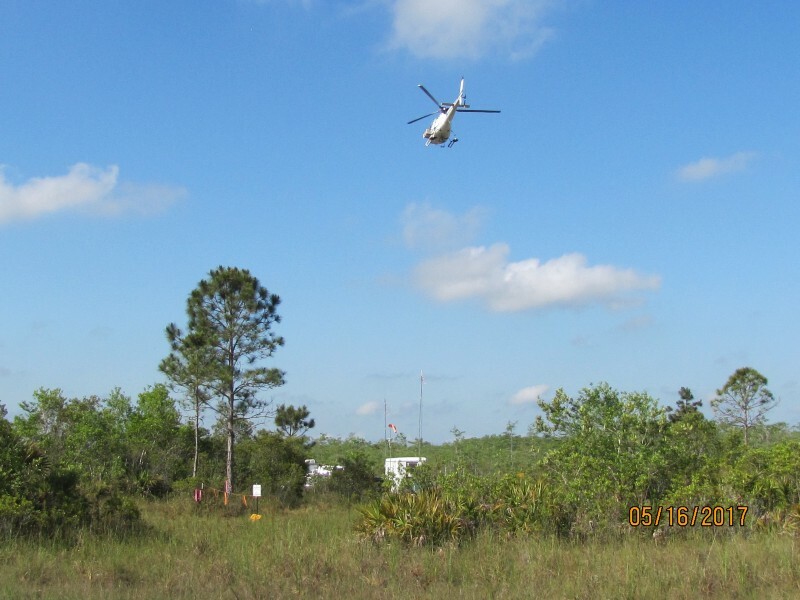 A bright and sunny May day, a co-worker and I traveled east off of I-75 Alligator Alley to visit a portion of the Phase I Burnett seismic survey area, which was the subject of the Conservancy’s latest courtroom battle. 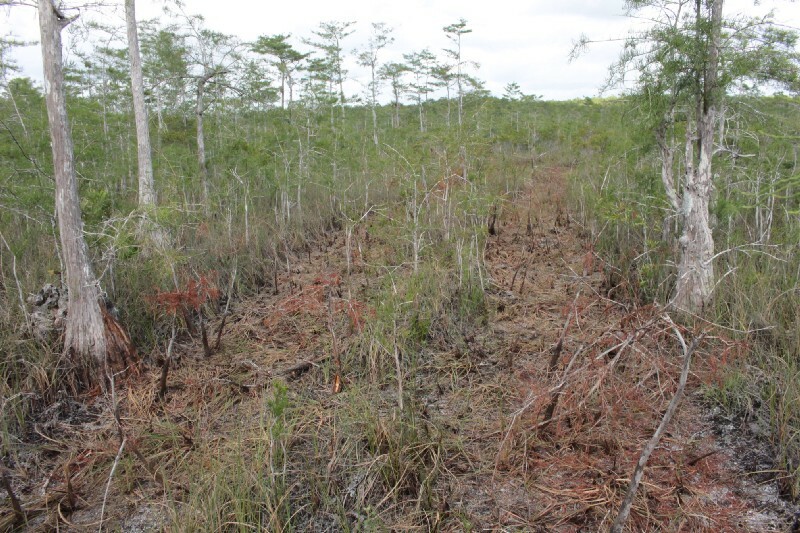 The goal of the seismic survey, conducted by the Burnett Oil Company and Dawson Geophysical, is to determine whether oil and gas reserves exist beneath the Florida western Everglades for potential future oil drilling. 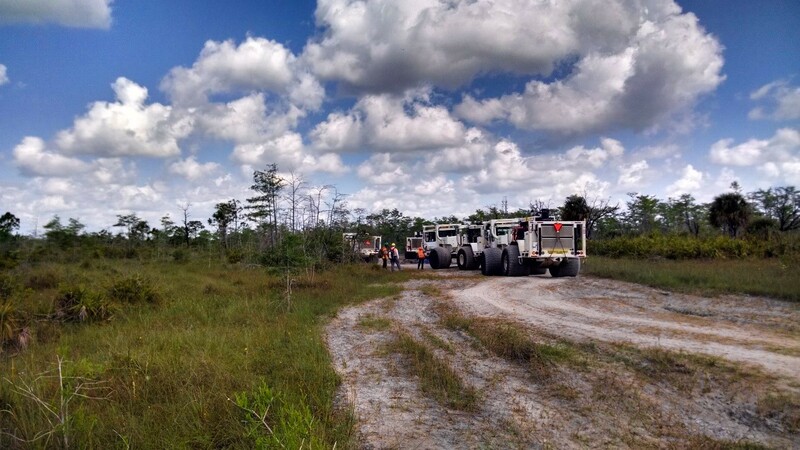 In order to do this, huge vehicles called “vibroseis” trucks traverse the land and send vibrations through the ground down to about 12,000 feet underground where private mineral resources lie below one of the most beautiful and important public lands in Florida: Big Cypress National Preserve. 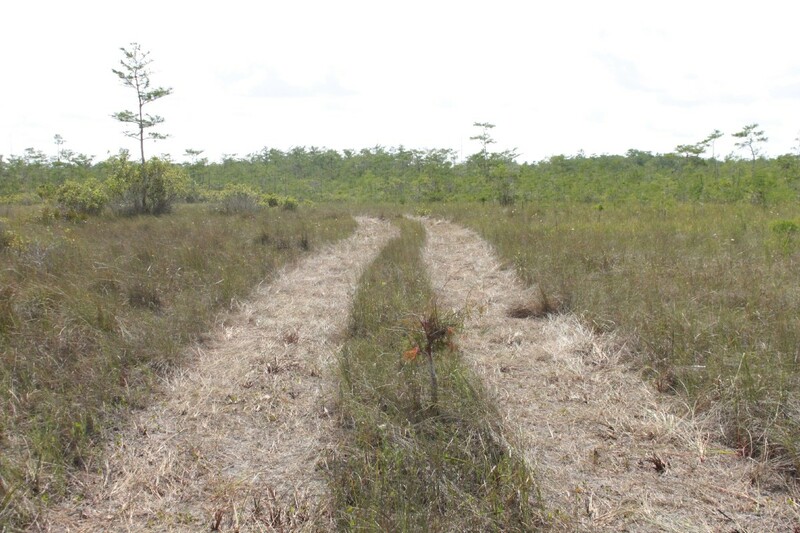 We set out without knowing exactly what we’d see from the Florida National Scenic Trail, a hiking trail that runs over 1,000 miles from the panhandle to where it ends in the Big Cypress National Preserve. 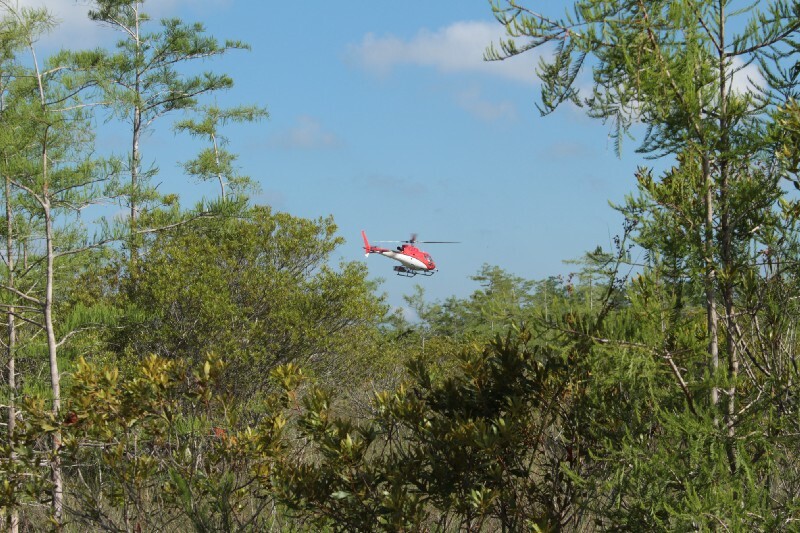 However, on this day we saw more than birds and butterflies along the trail: helicopters, dozens of workers, 4 vibroseis trucks weighing over 30-tons each, and several pick-up trucks with Texas plates. 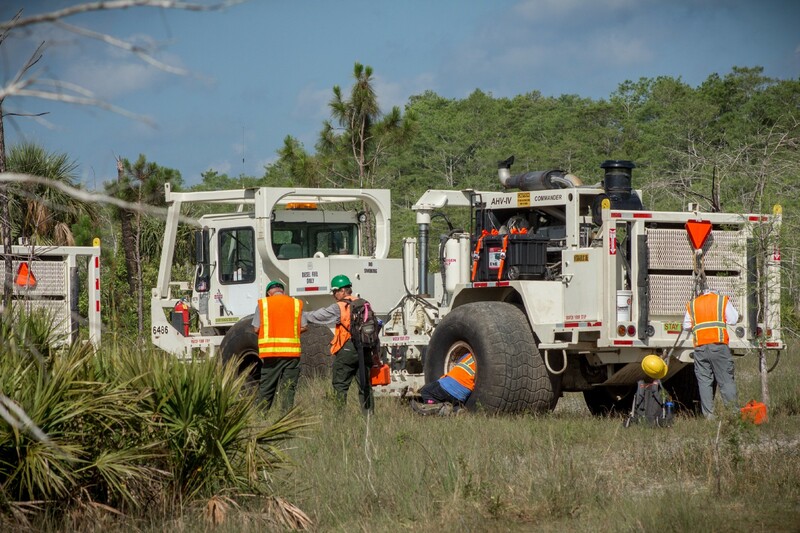 The Conservancy of Southwest Florida filed a court challenge along with other regional, as well as national, organizations, in an attempt to prevent Phase I of the seismic survey from going forward. 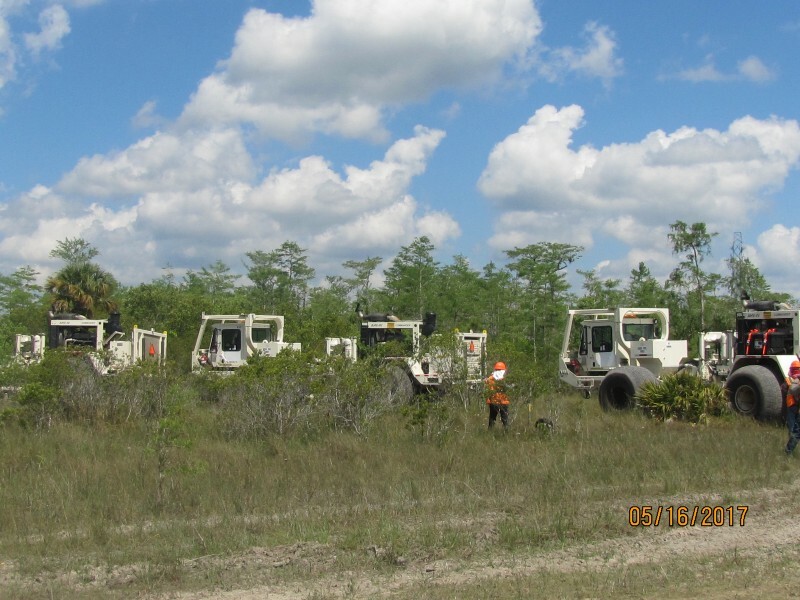 While a federal judge ultimately allowed Phase I of the seismic survey –a project area of 70,000 acres- to move forward, the Conservancy was able to ensure that stronger protective measures were included in the plan. 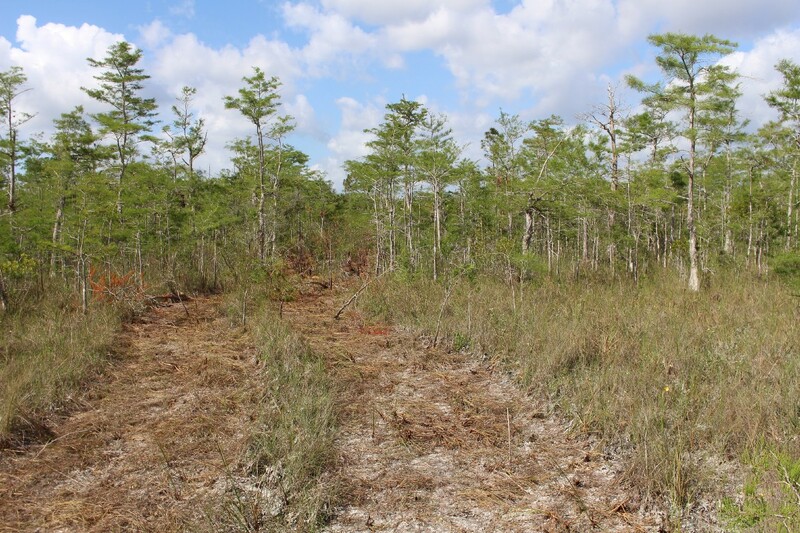 We are concerned that the seismic survey will cause rutting and compaction of soils, adversely impact hydrology, squash vegetation, and disturb the myriad of listed species that reside within the project area. What we saw on our visit to the Preserve brought home the somberness of our well-fought court battle. 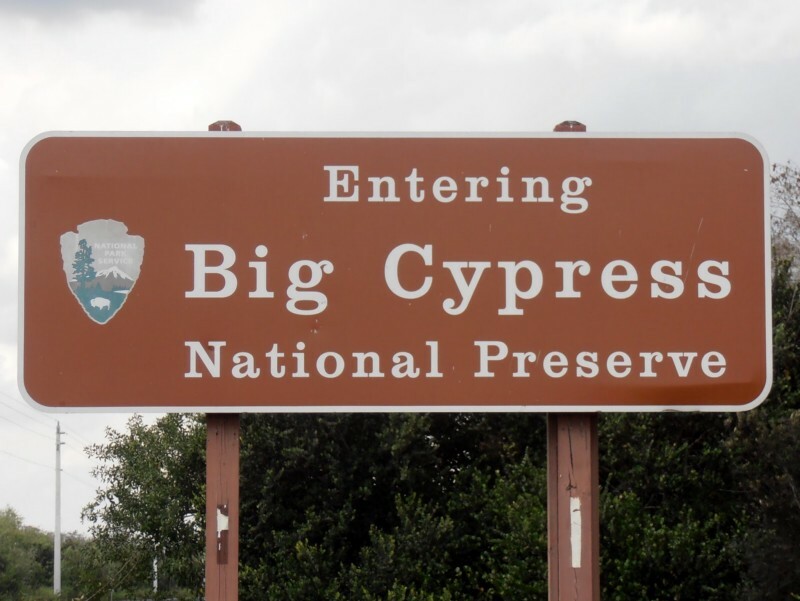 Having hiked many times in the Big Cypress, including at this very location just three months ago, I know the Preserve to be a very quiet and serene place, abundant with wildlife and sensitive habitats. Not this day — helicopters were flying back and forth from makeshift staging areas, trucks narrowly passed us on the trail, preserve law enforcement officers greeted us at the entrance, and the startling racket of the vibroseis trucks was headache-inducing. 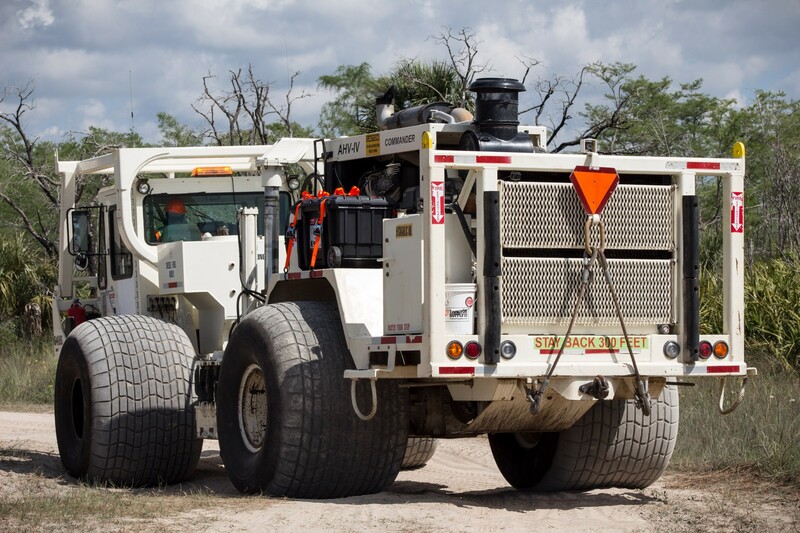 With tires so big they dwarfed its drivers, we worried about how the huge trucks would traverse such a sensitive landscape with ancient “hat-rack” cypress trees that are at times only a few feet tall but a hundred years old. A raccoon unknowingly approached us while we were quietly on foot, only to be scared away when the vibroseis trucks turned on their engines to start driving. 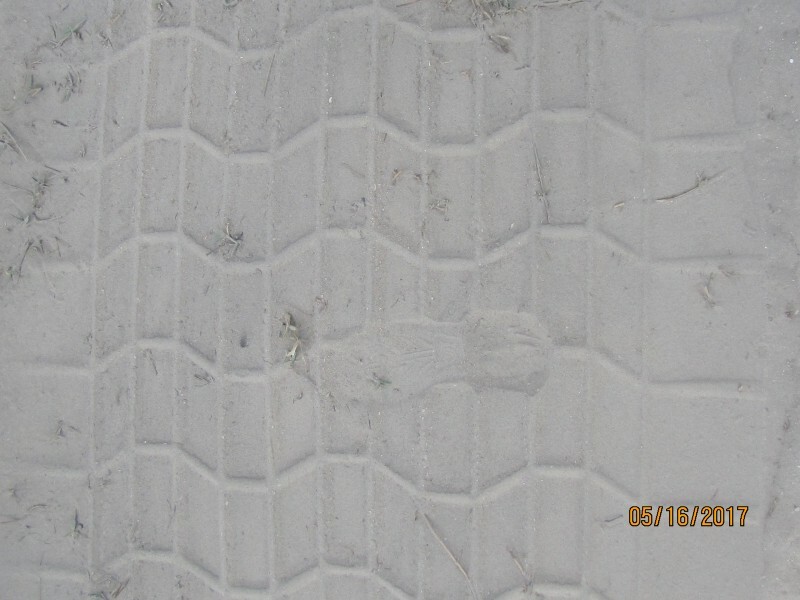 While we have exhausted all options to stop Phase I of the seismic survey, which is likely only the first of four planned phases of the seismic survey which would encompass about one-third of the Preserve — rest assured that the Conservancy will continue to monitor Phase I of the survey to document impacts and to ensure protective measures are being implemented. 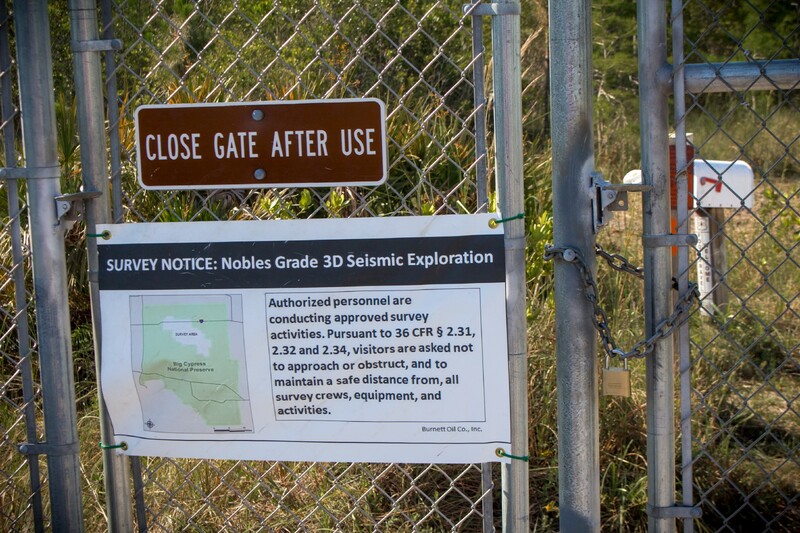 We will continue to monitor whether authorizations are sought for the three additional phases of the seismic survey. The Conservancy continues to champion a statewide ban on fracking and in opposition to projects -like the Burnett seismic survey- that threaten our waters, wildlife, and sensitive natural lands. 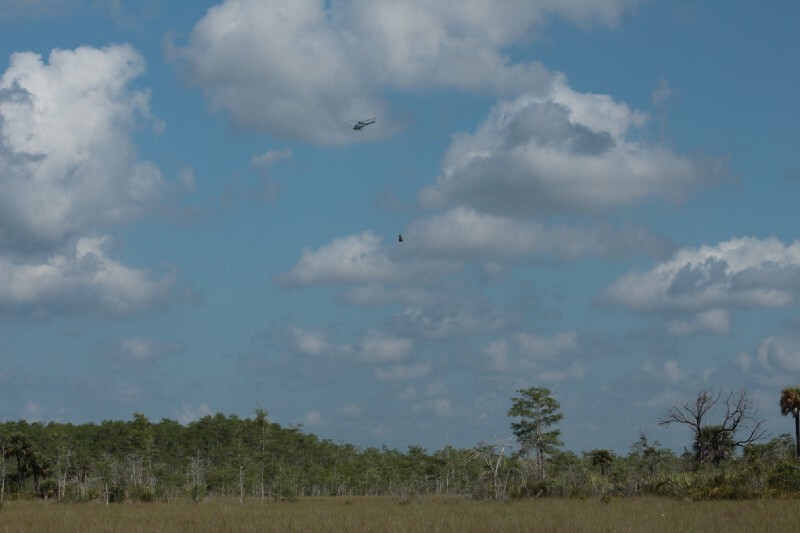 Protecting Southwest Florida's unique natural environment and quality of life...now and forever. Ensuring that our region’s leaders have the tools to make informed decisions is a critical role of the Conservancy. 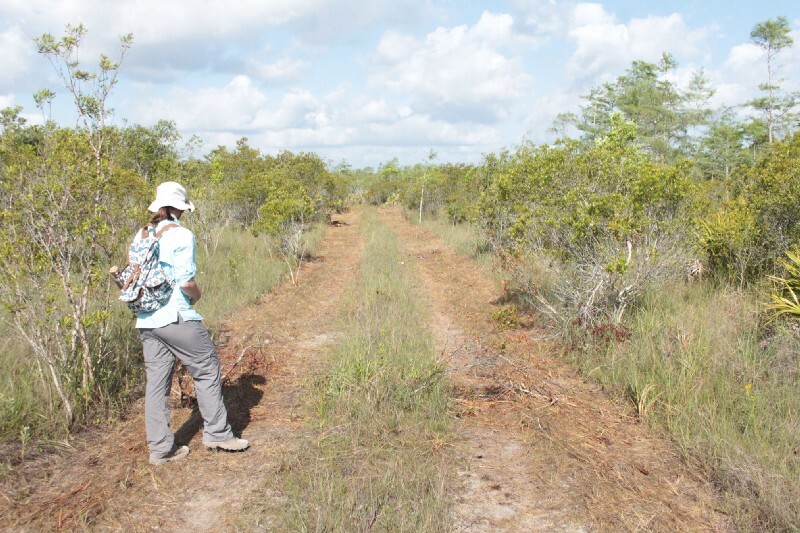 The Policy team ensures the proper stewardship of Southwest Florida’s natural resources by actively taking on regional issues to make a difference.